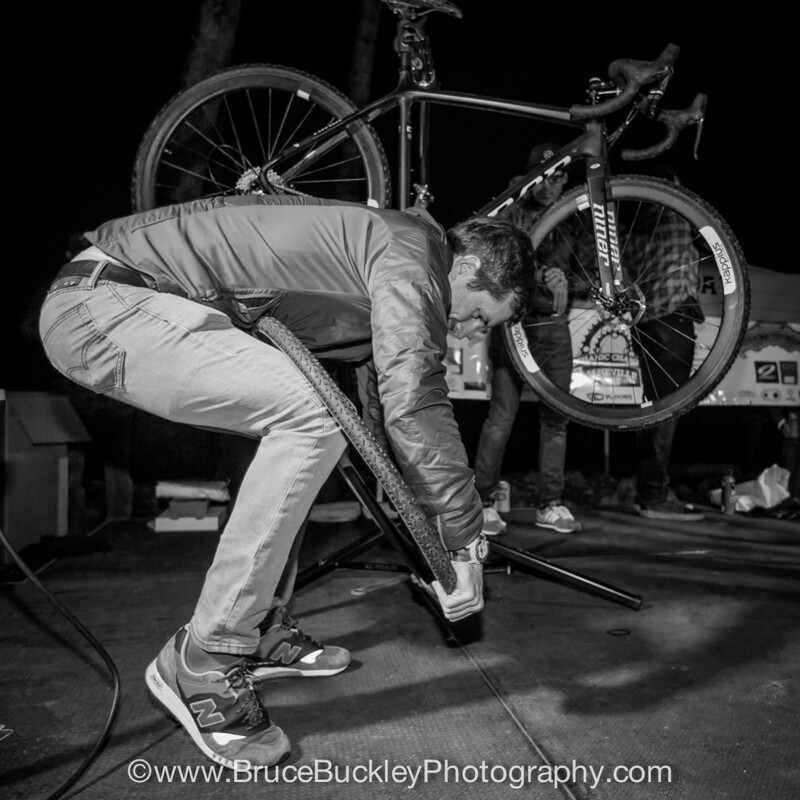 While Cyclocross Nationals is in full swing at the Biltmore Estate in Asheville, North Carolina, another national-level competition was taking place up the road in Fletcher, North Carolina: The first-ever mechanics national championships. 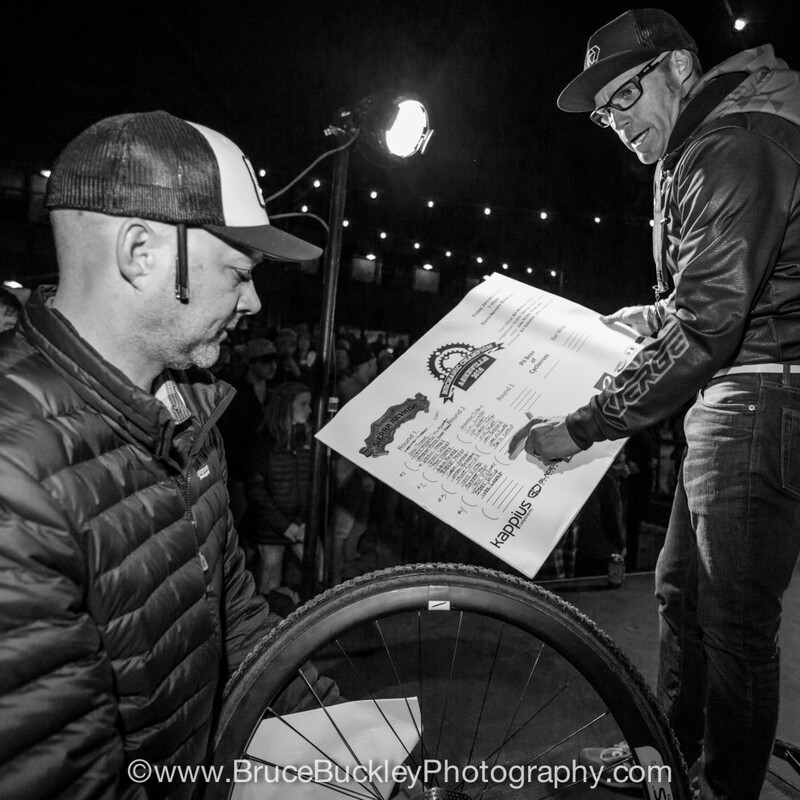 The brain-child of Glacier Cycling’s Coby Rowe, who is part of the team organizing the 2018 Cyclocross Nationals in Reno, Nevada, the mechanics championships pitted top wrenches against each other. 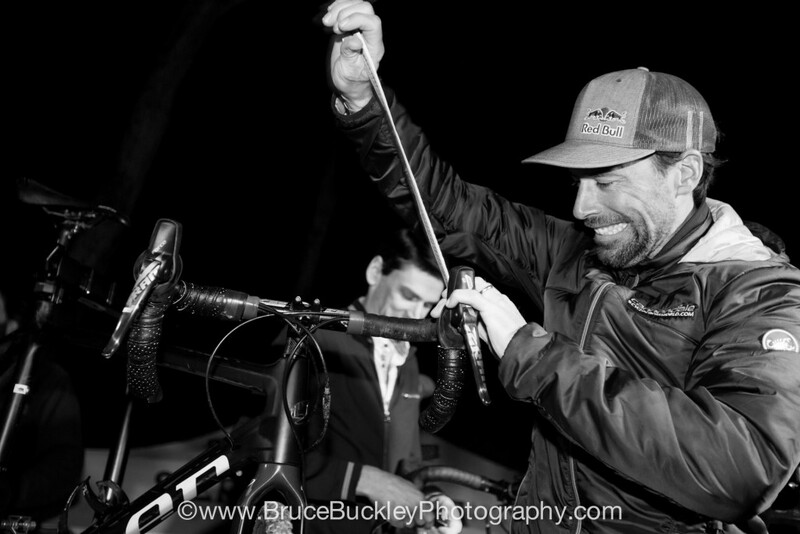 Chief judge Bill Marshall (Verge Sport) kept mechanics on task as they competed in four speed rounds: (1) removing and reinstalling wheels, (2) removing and reinstalling a cassette, (3) unpacking and dry-mounting a tubular, and (4) champion round bar tape installation. After two rounds of heated competition, four competitors remained. 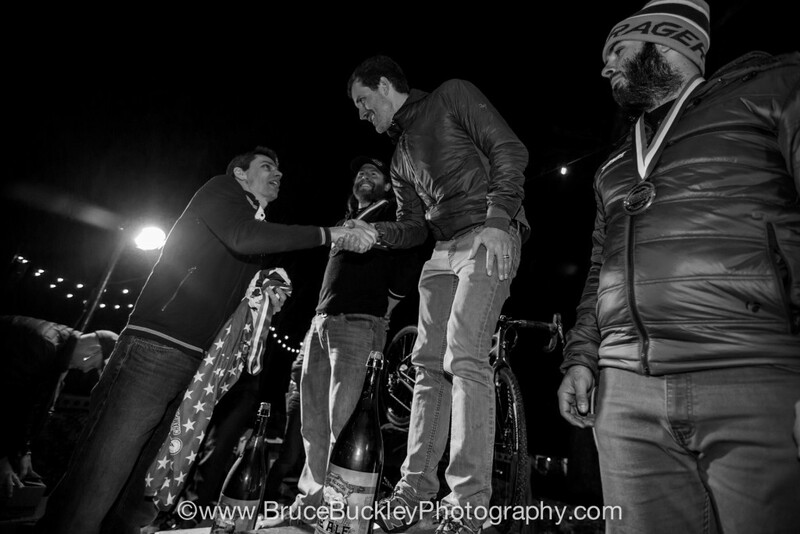 The winner of that group would take on USA Cycling President Derek Brouchard-Hall and multiple Cyclocross National champion Tim Johnson. The final came down to Tim Anderson, Josh McKinney, Brady Kappius and Tom Hopper. 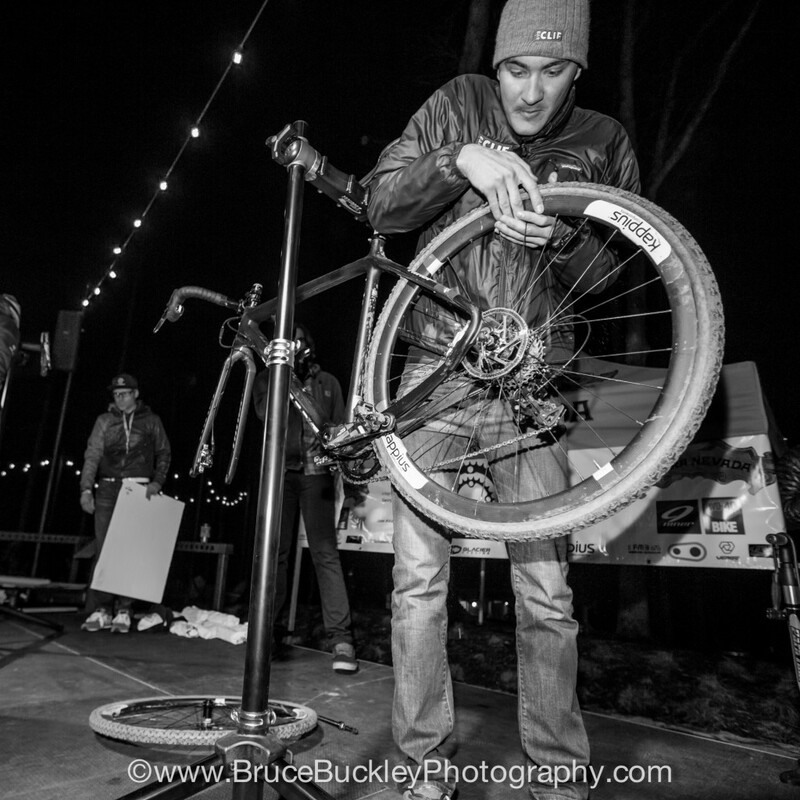 Competitors in the third round were met with an added obstacle as they were instructed to finish a Sierra Nevada beer before mounting the tubular tire. 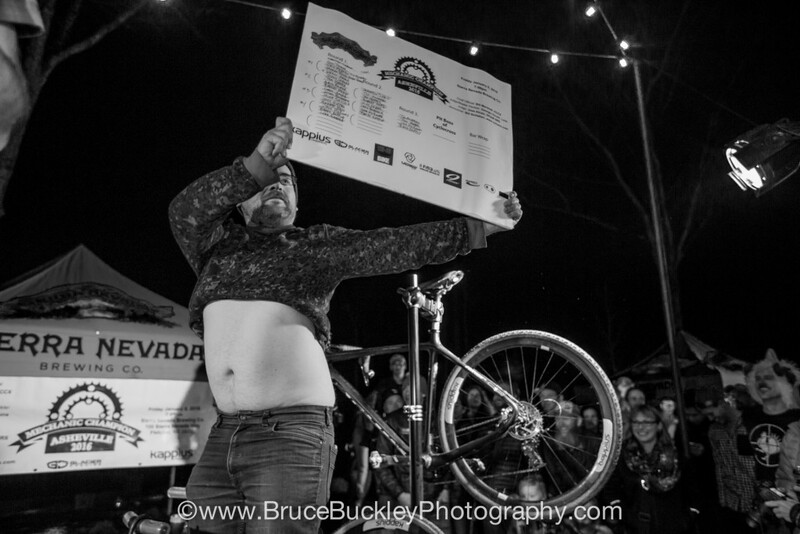 This was the downfall of Kappius who babied his beer and lost all chances of the podium. In the end it was Tom Hopper (Aspire Racing/Rapha-Focus) who easily won the competition with a cool confidence. 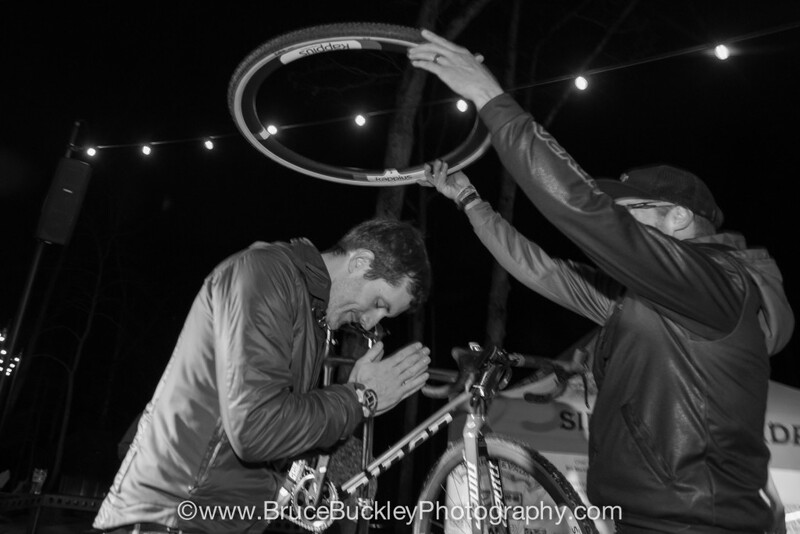 Tim Anderson finished second and Trek’s Josh McKinney rounded out the three-person podium. In the ceremonial fourth round, Hopper kindly tolerated the creative bar-taping methods of Johnson and Brouchard-Hall as he showed superior skill in taping handlebars. Asked how many bikes he had taped that morning, Hopper responded “two or three. And two more in the afternoon.” Regardless of what may happen on Sunday, the Aspire Racing outfit can take stock in knowing they’ve earned at least one stars and stripes jersey. this is what makes dirt racing so great. thanks for the write up and pictures, Bill.